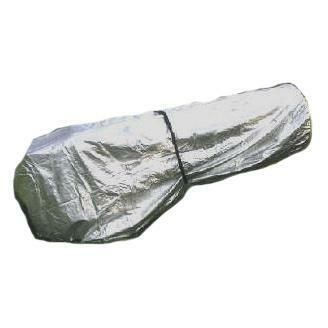 Major truss cover length 89" rocker box 34", combined total length 123". Rocker section of cover: 46" height, 34" length. Truss portion has 32" diameter at top of UTA, with increasing taper to 46" diameter at rocker box. A 1" web strap with a heavy duty adjustable cam lock is provided for additional cover securing or attachment to hold down weights.